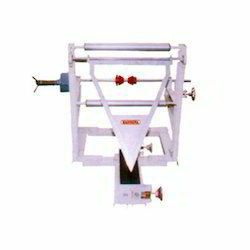 We are one of the leading manufacturers and exporters of high quality of Pouch Making Machine. This product is manufactured from high quality raw materials that are sourced from reliable vendors. This product is equipped with high quality micro process control with digital display. This product is widely used for center and bottom sealed pouch by folding process. This product is available at cost effective market prices. Micro Process Control with Digital Display. Key Pad Setting for Speed, Size & Count. Photocell control for printed pouches Static charge eliminator. UN. winding with manual friction break. Center & bottom sealed pouch by folding process. Looking for Folding Machine ?